Indiana 15 Regional Planning Commission is a multi-county governmental agency as enabled by Indiana Code 36-7-7, and has served the counties of Crawford, Dubois, and Orange since 1973 when originally named Patoka Lake Regional Planning Commission. Perry and Spencer joined the Commission shortly thereafter in 1974. Pike County later the Commission in 1993. Indiana 15 is partially funded through annual county per-capita fees and an annual federal planning grant as an Economic Development District of the U.S. Department of Commerce - Economic Development Administration. The balance of the annual cost of operations of Indiana 15 is funded through professional, fee-for-service contracts with participating local governments and not-for-profit corporations for administrative, planning and technical services within the six-county region. Throughout its 43 years of service, Indiana 15 has been involved with a multitude of community and economic development projects bringing millions of dollars into the regional economy. Since 1973 Indiana 15 has been involved with a multitude of community and economic development projects bringing millions of dollars into the regional economy. The staff of Indiana 15 Regional Planning Commission conducts the daily activities and operations of the six-county commission. There are three certified grant administrators on staff to service the program requirements of Community Development Block Grant funds for the Indiana Office of Community and Rural Affair's programs. The Commission also provides for staffing of specialized services in revolving loan fund administration, computer-aided mapping, municipal codifications, infrastructure development, and community and economic development planning. 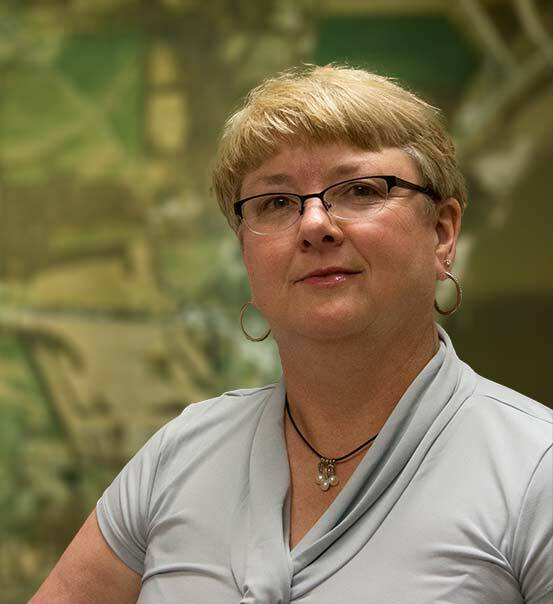 Lisa Gehlhausen serves as Executive Director of Indiana 15 Regional Planning Commission. She reports to the Board of Directors about the performance of this regionally outcomes-based organization. She oversees the professional, technical and administrative services to a six-county district. She is a certified grant administrator and has extensive experience in developing, budgeting, and administrating a variety of community and economic development projects to meet priorities of local governments. With Indiana 15 Regional Planning Commission since 1978, she is a recipient of the State of Indiana Sagamore of the Wabash Award 2013; Member of Indiana Association of Regional Councils (IARC); and previous member of the Indiana Geographic Information Council (IGIC); Historic Southern Indiana; Indiana Outdoor Recreation Planning Committee; and the Indiana Historic Preservation Planning Committee. Serves as Senior Project Administrator. In this position, he is responsible for administration of CDBG funded projects, grant applications and administration of other grants, and providing assistance on other projects which Indiana 15 is developing. 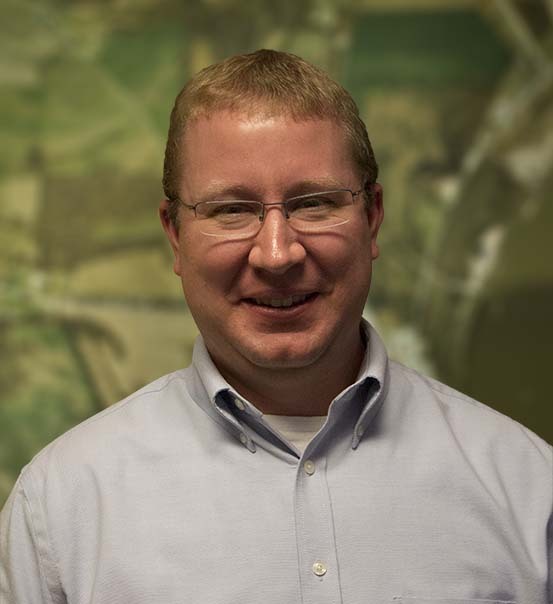 He also conducts U.S. Department of Labor Standards Verification on construction projects and is an accredited grant writer through the Indiana Office of Community and Rural Affairs. Prior to his arrival at Indiana 15, he worked at Lincoln Boyhood National Memorial in Lincoln City. He is a graduate of Brescia University in Owensboro, KY with a Bachelor of Arts in Social Studies with Secondary Education, and received his Master of Public Administration from Western Kentucky University. He has been with Indiana 15 Regional Planning Commission since March 2006. Cheri serves as the Financial Administrator for Indiana 15 and manages the accounts and contract financial records through Grant Management Systems (GMS) software, maintains personnel management files, prepares the annual budget of the Commission, conducts inventory control, maintains all board records, files state and federal financial requirements, assists with the codifications and newsletter. Cheri also administrates the Crawford County Revolving Loan Fund. 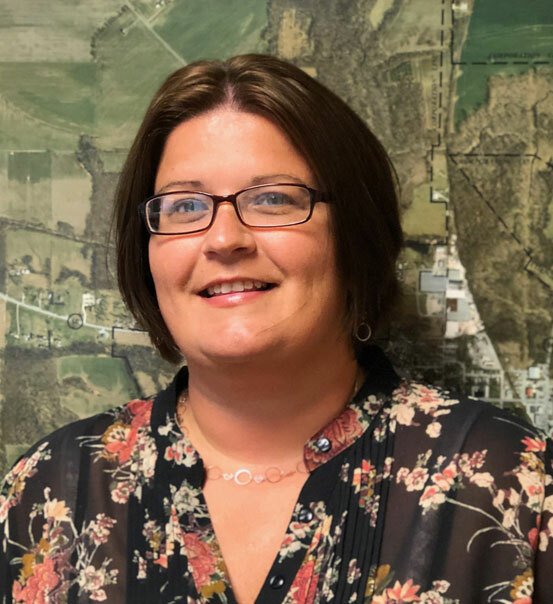 Cheri joined Indiana 15 in December 2014 as a Project Assistant and is a certified grant administrator with the Indiana Office of Community and Rural Affairs. She has an Associate’s Degree in Finance from the University of Kentucky-Owensboro Community College and a Bachelor’s Degree in Accounting from Brescia. Prior to arrival at Indiana 15, she worked for the Perry County Chamber of Commerce. Serves as the Technical Services Specialist. In this position, he is responsible for performing traffic counts and preparing/updating base and zone maps of communities within the region with in-house GIS software. He also maintains administrative and financial management of the transportation grant. 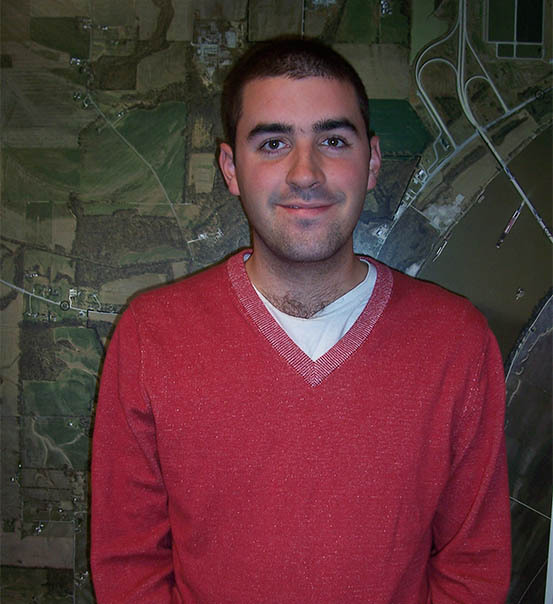 Prior to his arrival at Indiana 15, Nick worked as a GIS Analyst. He graduated from Illinois State University in Normal, Illinois in May of 2014 with a Bachelor of Science, majoring in Geography. Nick is a life-long St. Louis Cardinals fan. He has been with Indiana 15 Regional Planning Commission since March 2017. Joining Indiana 15 in March of 2018, Jenny serves as a Project Assistant. She is currently working toward certification as a grant administrator with the Indiana Office of Community and Rural Affairs. 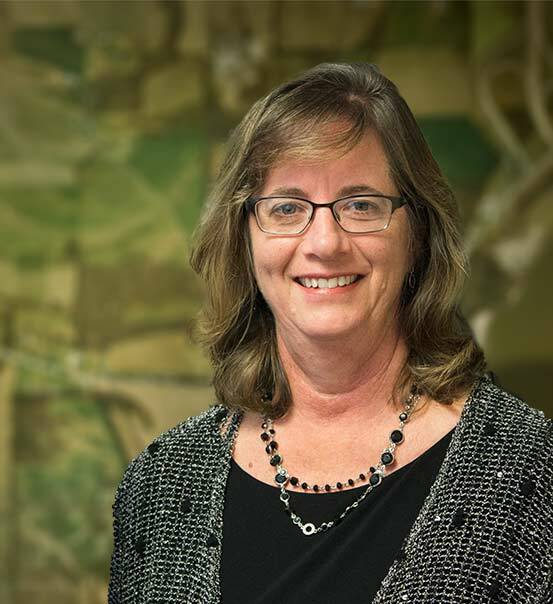 In her role at Indiana 15, Jenny will be responsible for CDBG grant writing and administration, conducting income surveys, verifying labor standards and environmental reviews. Jenny holds a Bachelor of Science in Elementary Education from the University of Southern Indiana and is a life-long resident of Spencer County. Prior to her arrival at Indiana 15, Jenny worked in local schools and in Adult Education. Serves as the Administrative Assistant of Indiana 15 Regional Planning Commission. Lindsey greets visitors to our office, answers the phone, maintains all board records, backups, and website. She also assists with codifications and the newsletter, conducts inventory control, and is additional office support for staff. 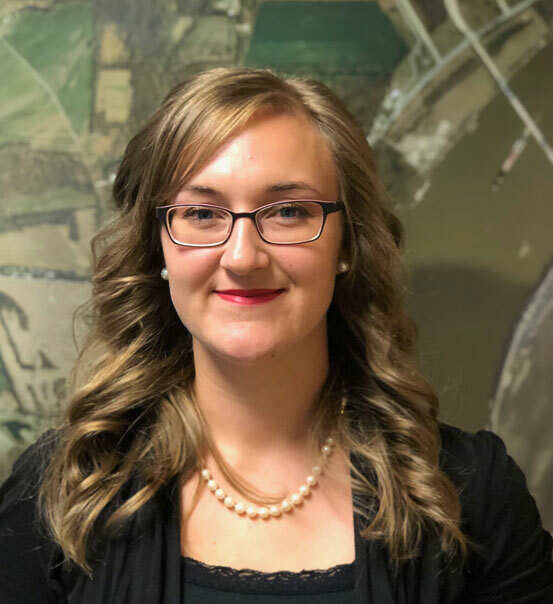 Lindsey joined the Indiana 15 staff in June of 2018. Indiana 15 occasionally has permanent full- and part-time job openings and regularly employs college interns during the summer months to work on a variety of mapping, planning and administrative projects. To check on any job announcements or to check on summer internships. Check out our jobs page for current listings.